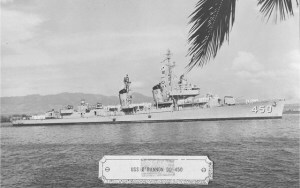 A great story about how the USS O’Bannon fought off a Japanese sub in WWII. I thought this was a great example of Yankee ingenuity in both a rather unusual situation and mode of operation!! Thank you for sharing their story! It definitely was! You’re welcome. The story was so good that I had to share it.